This month, we get to know the Tayside centre behind EPAD. The site began recruiting in February 2018, with its first participant enrolled on 22nd February. The team has currently recruited 50 participants and still has 6 participants due in for baselines this month, taking the total to 56 participants by the end of November. We are glad to hear that 5 (so far) research participants are booked in for December! “We have thoroughly enjoyed running EPAD here within Tayside. The study thus far, has been no easy feat, but we enjoy a challenge”, said Kate Ferguson, the EPAD study coordinator in Tayside. We caught up with the Tayside centre and asked them a few questions about their best practices and recruitment strategies. Do you have any top tips to share for running the EPAD Longitudinal Cohort Study (LCS) efficiently at your site? Tayside: Building rapport with participants is key! Here in Tayside, we pride ourselves on our ability to communicate within the team and also to our participants. Right from the get go we try and establish a good rapport with potential participants, finding out as much information as possible during the screening calls. We like to take our time when recruiting participants to the study, encouraging them to ask as many questions as they want and express any concerns they may have in regards to the study (usually lumbar puncture!). Communication between the team allows us to streamline and run visits smoothly within the site. How are you able to find suitable subjects for the cohort? 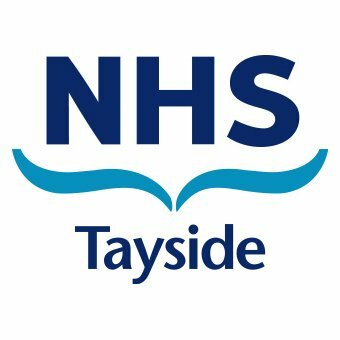 Tayside: We continue to use HIC (Health Information Tracker) to recruit participants. This is a parent cohort which finds participants who have previously taken part in Generation Scotland studies. We also continue to recruit from Velocity and we find word of mouth is a wonderful thing for EPAD. The positive feedback we have had from participants, in relation to staff approach and professionalism, has been echoed in the amount of friends and family members we have recruited from participants already in EPAD. Additionally, we use SHARE as a means of velocity recruitment and we also have access to JDR (Join Dementia Research), however we have not needed to tap into this resource at present, due to the continual flow of participants. We are based in Ninewells hospital in Dundee and have on occasion put up a stall with study information on it and have seen a few interested individuals, one of which signed up to the study! Various members of our team attend conferences and events, handing out study information in the hopes this will boost recruitment. Are you organising teleconferences with other EPAD sites in Scotland? Tayside: In Scotland there is usually a monthly teleconference which is held on the last Thursday of the month. We use this to discuss any issues or potential issues we have been experiencing to see if other sites can provide support and solutions. At present, Tayside, Edinburgh, Glasgow and Aberdeen are all a part of this. 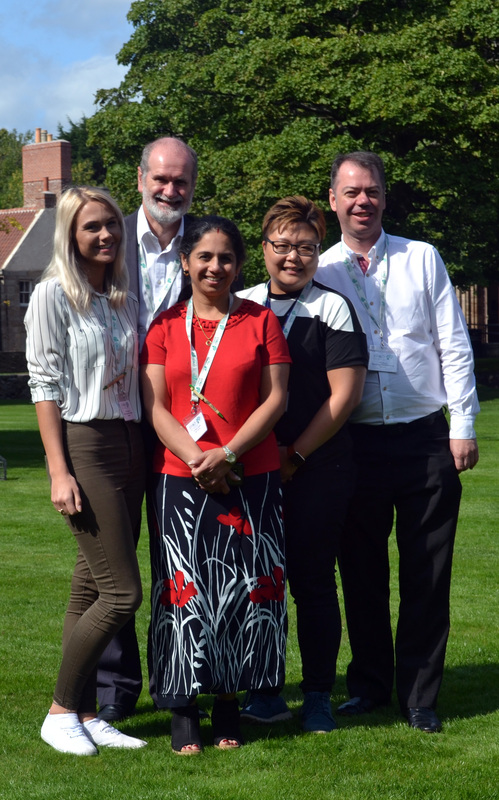 Pictured: From left to right: Kate Ferguson (study coordinator), back left Dr Findlay (sub-I), middle Dr Gandhi (sub-I), front right Bernice Wong (back up coordinator), back right Phil Brown (administrator). Not featured in photo: Dr Connelly (PI), Taylor Chalmers (clinical trials support worker). We currently have 20 sites across Europe enrolling and more than 1,200 research participants screened. There was a total of 90 new research participants enrolled in the EPAD study in October. A special mention goes to Paris La Salpetriere (France) as the team screened 16 research participants in October for their inclusion in the EPAD study. We are pleased that Philip Scheltens’s team in Amsterdam (The Nerthelands) and Pablo Martinez-Lage’s team in San Sebastian (Spain) screened respectively 15 and 13 new participants in October.